Iván Fischer and the Budapest Festival Orchestra is organising the fifth Dancing on the Square programme in 2019. 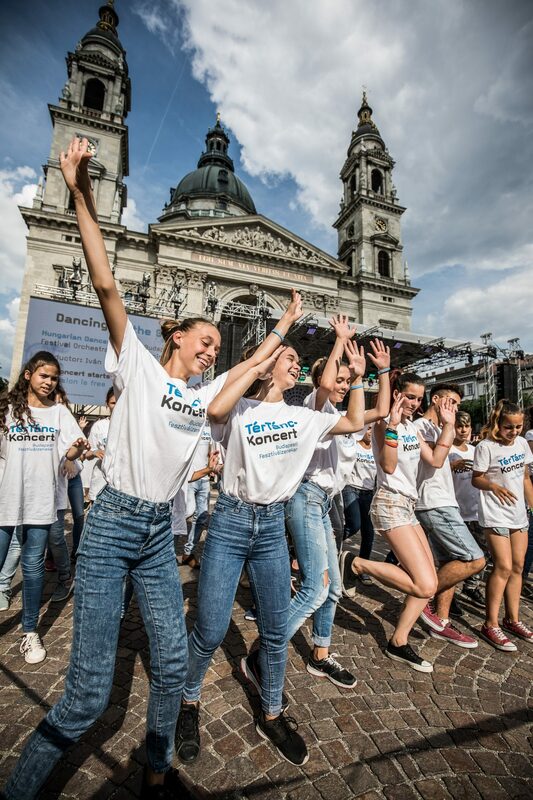 At the free, open-air concert hundreds of children coming from underprivileged areas of Hungary are dancing together – this time to the 7th symphony of Beethoven. “Wagner described Beethoven’s Seventh as the ‘apotheosis of dance’. It was considered the music of freedom, especially because of the continuous, uplifting pulsation of the last movement. 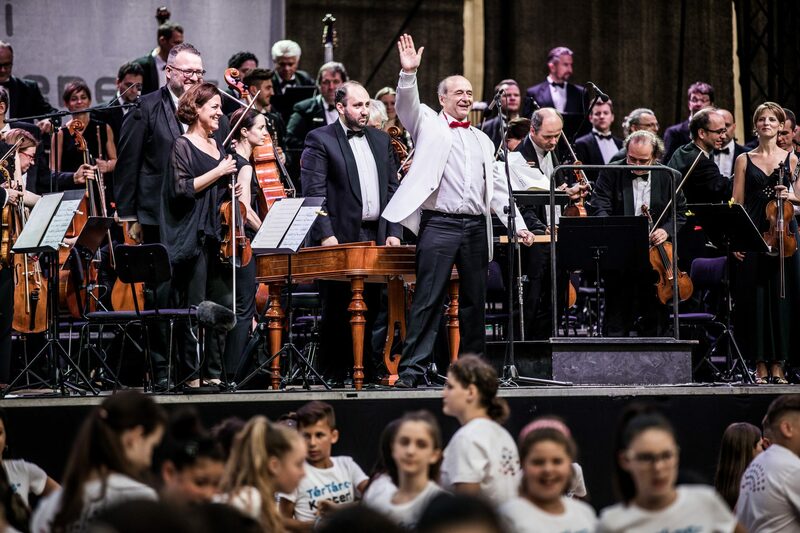 I am very happy about the children dancing to this” – says Iván Fischer conductor. Iván Fischer and the Budapest Festival Orchestra launched the Dancing on the Square project in 2015. This initiative is not just about music and dancing, but also about mutual acceptance, tolerance, and the experiencing of moments created together. The stars of the initiative each year are the hundreds of children who dance together to the orchestra’s music in the heart of Budapest. The performers spend months working towards a common goal, getting ever closer to each other, and enjoy the fruits of being part of a community with thousands of members. The participating schools are with us in the effort to include as many Roma and non-Roma, disadvantaged and better-off children as possible. In addition to the weekly dance rehearsals, we organize regional meetings. We cooperate with the Foundation for Democratic Youth to strengthen community ties and social skills and also to give the children the opportunity to get closer to classical music. Based on feedback from the kids and the teachers working with them, we are on the right track: “Children from various parts of the country became true teams”, “Lifelong friendships were built”, “What goes on here is truly wonderful”, “I’ve never seen the girls laugh like that”, “Children accept each other”, “These children are able to create things from nothing”, “The Dancing on the Square camp opened my mind to things”, “Music gives the most in life”. All this confirms our belief that music can build special bonds between people regardless of gender, social status or ethnic background. It teaches us to cooperate with, be open to and look after one another. The Budapest Festival Orchestra is one of the major success stories of the Hungarian music scene, being rated among the world’s top ten orchestras; the New York Times has even gone as far as to say they “might be the best orchestra in the world”. We perform regularly in the most important of concert halls, from Carnegie Hall to the Musikverein, but alongside our international successes our most important mission is to bring the beauty of classical music to every layer of Hungarian society. We believe that music can connect people with vastly different backgrounds and directions in life. We bravely venture along untrodden paths, and each year we come up with new kinds of concerts for the youngest generation. Our educational programme is unrivalled. We bring Choose your Instrument sessions to schools; our regular Cocoa Concert programmes are now interspersed with Autism-friendly ones; Music Castle sees us making not just music, but also instruments alongside the children; and we work with hundreds of underprivileged children during the Dancing on the Square project. Our Community concerts mean we’re making ever more frequent appearances at alternative venues, away from concert halls where we can create an intimate connection with the audience, be it in nursing homes, abandoned synagogues, hospitals, child-care institutions, or prisons. Iván Fischer is the founder and Music Director of the Budapest Festival Orchestra, as well as the Honorary Conductor of the Konzerthaus and Konzerthausorchester Berlin. On top of that, he has gained a reputation as a composer, with his works being performed in the United States, the Netherlands, Belgium, Hungary, Germany and Austria. He has directed a number of highly successful opera productions. As a guest conductor, he regularly conducts the Berlin Philharmonic Orchestra and the Concertgebouw Orchestra, as well as working with some of the great US orchestras. He is an innovator, and has been bringing the Festival Orchestra’s concerts to abandoned synagogues since 2014. 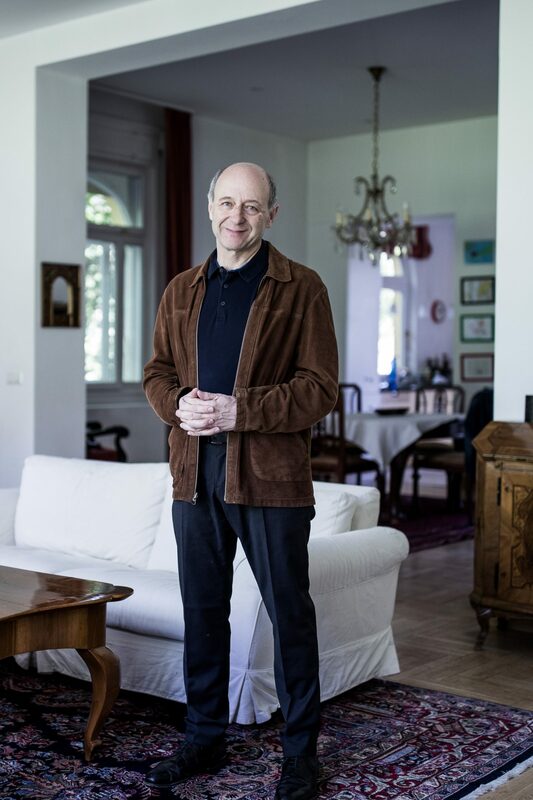 In addition to his international prizes (including the Crystal Award, Chevalier des Arts et des Lettres, the Royal Philharmonic Society Award, the Ovatie Prize and an honorary membership to the Royal Academy of Music) he has also received the Kossuth and Prima Primissima Awards. In 28 March, 2015 he received the Abu Dhabi Festival Award for Lifetime Achievement. In 2016, he won the Association of Music Critics of Argentina’s award for Best Foreign Conductor.